Just when you thought it was impossible for surveillance to get any creepier, a company has announced it has created mannequins with cameras installed inside that can be used to spy on shoppers and record their conversations – and that they’ve already been rolled out at numerous fashion stores across the world. The EyeSee mannequin, developed by Italian firm Almax, relies on technology used to identify criminals in airports that utilizes facial recognition software to identify the race, age and gender of the shopper and feeds that information back to a centralized database. The camera is embedded in the eye of the mannequin. 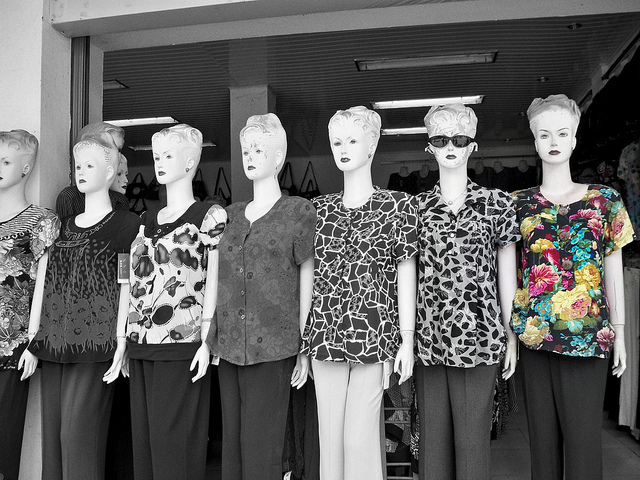 Sources say shoppers will have no idea which mannequin has the imbedded camera. This entry was posted on November 21, 2012 at 8:00 am and is filed under Uncategorized. You can follow any responses to this entry through the RSS 2.0 feed. You can leave a response, or trackback from your own site.